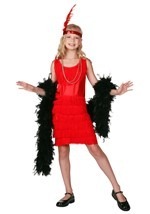 Everyone will love this charming flapper girl costume for toddlers. 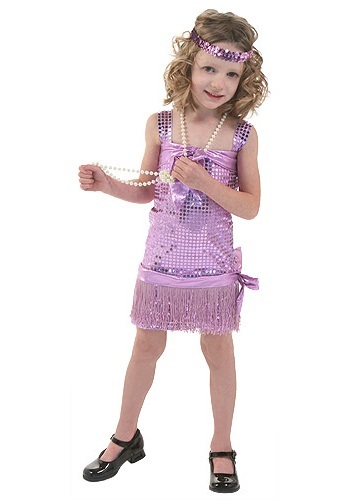 The classic toddler costume includes a purple dress with sequin on mesh backing and two solid metallic bands around the chest and waist with bow accents. 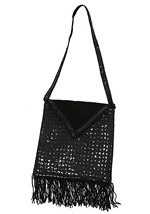 Fringe above the hem of the flapper costume creates movement on the flowing kids dress. 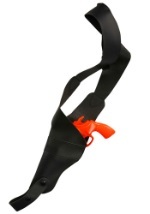 Flapper accessories are also included with this great Halloween costume. 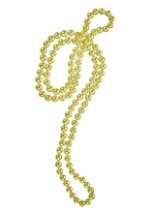 A long plastic pearl necklace with knot accent and sequin headband made with elastic make this flapper costume the bee's knees. 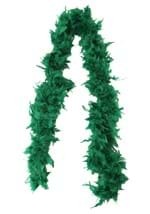 Add extra beads to make your Halloween costume even jazzier!